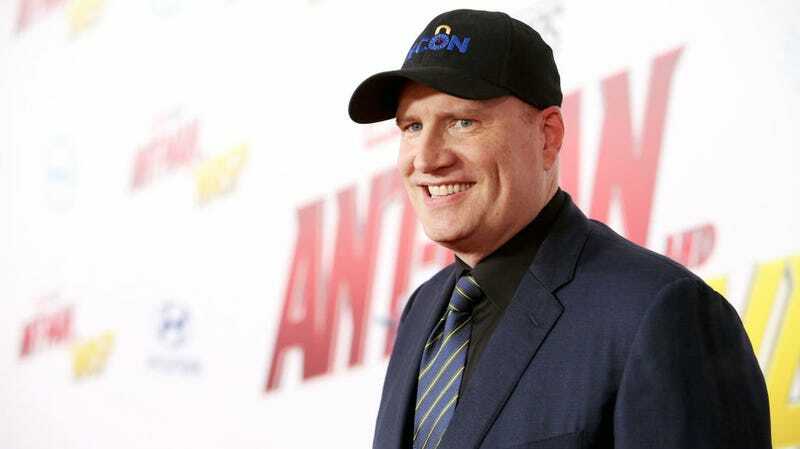 Marvel Studios president Kevin Feige at the premiere of Ant-Man and the Wasp this summer. For fans of the Marvel Cinematic Universe, there are three big, burning questions at this moment. First, what’s the title of Avengers 4? Second, when will we see a trailer? And third, what’s happening with Guardians of the Galaxy Vol. 3? Answers to those questions will inform other, secondary questions (like what movies will be released in 2020? ), but, so far, we have no definitive answers. And, frankly, we still don’t, but at least there’s a minor update. Entertainment reporter Erick Weber was at at Black Panther event in Los Angeles, CA last night and reportedly spoke to Marvel president Kevin Feige himself. Feige has yet to comment on anything since the whole James Gunn situation happened, so everyone is interested in what he has to say. According to Weber’s Twitter, Feige told him fans should expect a trailer for Avengers 4 by the end of the year (which, we assume, would reveal the movie’s title), and that Guardians of the Galaxy Vol. 3 is currently on hold. Neither of these are shocking revelations, all things considered. Avengers 4 comes out in early May and the basic marketing strategy would put a trailer in front of our eyeballs during the holiday season. As for Guardians, since Gunn is no longer on the project and production was postponed, of course the film is on hold. It’s a movie Marvel wants to make, it just needs to kind of clear the table and figure it all out. Randomly, Weber also asked Feige about Namor the Submariner. Feige said the character could make an appearance, but the studio hadn’t decided whether that was something it wanted to do yet. Beyond these new tidbits of information, we also know that Marvel hasn’t stopped moving forward on other projects. Recent reporters of movement on Eternals, a Black Widow movie, and streaming shows starring Loki and Scarlet Witch provide hints as to what’s to come. But odds are we won’t have a strong idea of the future until after Avengers 4 is in theaters. By then, maybe Marvel will have a grasp on Guardians 3 too. io9 has contacted Disney for any comments or clarification on Feige’s remarks and will update if and when we get them.